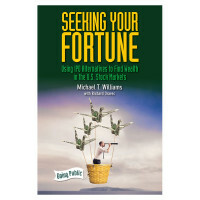 “SEEKING YOUR FORTUNE” PRINTER’S PROOF NOW AVAILABLE! We are please to announce that the Printer’s Proof of our new book “Seeking Your Fortune: Using IPO Alternatives to Find Wealth in the U.S. Capital Markets” is now available for purchase direct from the author, Michael T. Williams, Esq. The final printed copy is expected to be available in early March. The information in this book is so good that we didn’t want to make you wait any longer to get your copy. The printed copy when it goes on sale will be $21.50. But you can order right now, direct for only $12.25, delivered via e-mail. Your purchase also includes a free initial consultation if you desire.